Just before 1am this morning tomorrow, a green laser beam was pointed at the police helicopter as it was conducting patrols of the Butler area. The helicopter crew were able to pinpoint the location where the beam emanated from and officers from the Northern Regional Operations Group attended the identified residence in Butler, WA Police say. A 28 year old man from Butler has been charged with Cause Fear with Laser or Light to People in Conveyance and Possession of a Controlled Weapon. He is due to appear before the Joondalup Magistrates Court on 21 November 2016. A 26 year old man from Alkimos and a 23 year old man from West Perth have been summonsed to appear in court at a later date on the offence of Possession of a Controlled Weapon. An alleged drunken driver in New Mexico is accused of driving through a highway barricade and crashing into a medical helicopter over the weekend. The chopper and two fire trucks were parked in the highway in Gallup early Sunday morning to rescue the victim of a one-vehicle accident, local ABC station KOAT reported. Glenn Livingston, 26, allegedly drove through the barricade set up at the scene and hit both the chopper and a fire truck, per CBS station KRQE. The chopper was not running and its rotors were not spinning at the time of the collision, the McKinely County Sheriff’s Office said. Five people died this morning after the aircraft they were flying in crashed shortly after take-off in Luqa at around 7.20am (local). UPDATE 0831 UTC The plane was on its way to Misrata, Libya. UPDATE 0808 UTC Runway 13/31 is currently available for departures but a zero-rate regulation is applied until 1200 UTC for arrivals (NOTAM A0971). UPDATE 0721 UTC The aircraft believed to be carrying EU border officials crashes at Malta airport. UPDATE 0704 UTC Incident at Malta airport. Main runway unavailable. No arrivals until further notice. Moscow: A helicopter crashed in northwest Siberia on Friday, killing 19 people on board, Russia’s Federal Air Transport Agency said on Saturday. Three crew members and 16 passengers died when the Russian-made Mi-8 helicopter came down late on Friday in adverse weather conditions. Two survivors were injured and a third unscathed, TASS news agency reported, citing a regional health official. The helicopter was carrying employees of a contractor from oil major Rosneft’s Suzun oilfield, part of the Vankor deposit, Russia’s northernmost onshore oil production project. 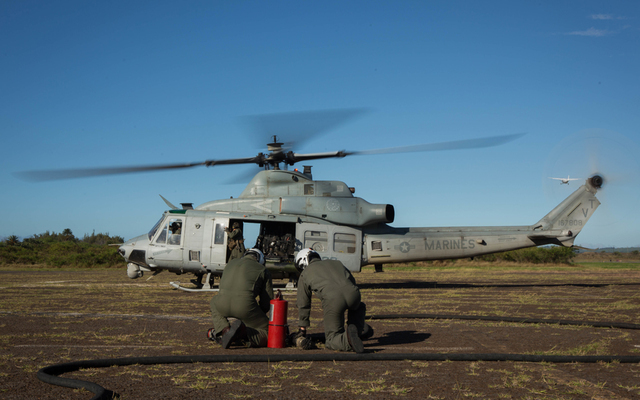 Charles D’Alberto U.S. Marines prepare to refuel a UH-1Y Venom during an aircraft delivered ground refueling training event as part of the Rim of the Pacific exercise on July 25. A U.S. Marine helicopter struck a power line and made an emergency landing on the North Shore Tuesday night. There were no injuries to the flight crew or civilians. The UH-1Y, belonging to the III Marine Expeditionary Force, was flying in an authorized training area when it struck the line about 7:45 p.m., according to Capt. Tim Irish, spokesman for the Marine Corps Base Hawaii. 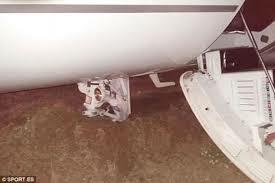 The aircraft was conducting a scheduled flight in the area. The Honolulu Police Department said officers responded to Comsat Road, which is mauka of Sunset Beach, to assist with traffic management. Irish said the helicopter is still on site but does not know if or when it will be moved. The cause of the incident is under investigation. According to the Hawaiian Electric Co., there was a report of damage to a line, but there were no power outages. Joanna Perez said she and her family heard sirens and saw at least six emergency vehicles drive up Comsat Road between 9:30 p.m. to 10 p.m. Perez, who is staying with her son at his house on Comsat Road, said when her family left around 8:30 a.m. today, police were blocking access to Comsat Road. She said residents had to provide officers with their addresses to get in. TAWAU • A military helicopter crashed into a school in the town of Tawau, Sabah, yesterday morning, leaving at least 17 people hurt, including several students, Malaysian media reported. The Royal Malaysian Air Force (RMAF) helicopter was carrying 14 personnel on board when it crashed into the area between the canteen and a hall building under construction within the secondary school compound, the New Straits Times reported. Other reports, however, said there were 13 RMAF personnel on board the aircraft. The paper said the aircraft clipped the roof of the school's main building before it lost altitude and crashed at about 9.35am. The RMAF headquarters in Kuala Lumpur said the helicopter had been on a routine training flight. Tawau police chief Fadil Marcus said the aircraft had taken off from Tawau airport, located about 10km from the school. He said 14 RMAF personnel on board, including the pilots, were hurt, The Star reported. There were conflicting reports about the number of students injured, with some saying at least four students had been hurt. All those injured were rushed to a nearby clinic. Some of them were later transferred to the Tawau district hospital, The Star said. The school was closed temporarily after the crash. Defence Minister Hishammuddin Hussein has ordered the RMAF to carry out investigations, Bernama reported. 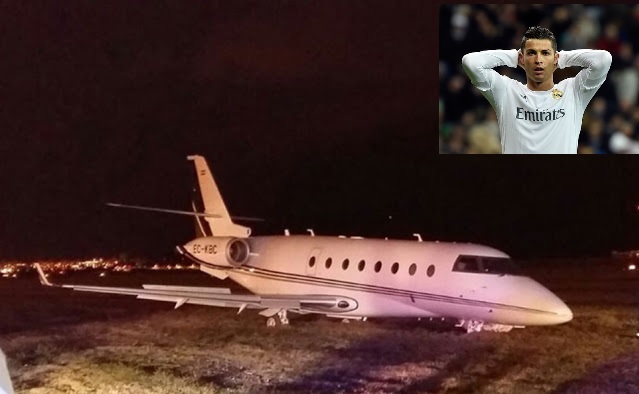 Cristiano Ronaldo will be grounded for the foreseeable future after the superstar’s private jet crashed on landing at Barcelona’s El Prat airport. The Portuguese is about to get a bumper new contract from Real Madrid, and that payrise will come in handy as he prepares for a monster repair bill after the incident on Monday evening. Eyewitnesses report that the plane’s landing gear broke on impact with the runway, forcing emergency services into action. One of the runways at El Prat was closed for a short time after the incident, in which nobody was hurt but the pilot was attended to for very minor injuries. Ronaldo bought the Gulfstream G200 last year for some £15million, and sometimes leases his plane out for private clients. Sources close to the Ballon d’Or favourite told MirrorFootball: “The plane is normally rented by companies and it was in use by one of them. 31-year-old Ronaldo was, in fact, with his Madrid teammates in Germany preparing for the Champions League clash against Borussia Dortmund.